Are you an academic staff member who is seeking to learn about Māori Pedagogy and how to incorporate it into your teaching? Then we have the course for you! We have a brand new staff development course called Culturally Responsive Pedagogy, which is aimed at getting you to reflect on your own practices and identify opportunities where you can embed it into your teaching. It will also look at the theory behind our current education system in comparison to pedagogy. Find out more about Culturally Responsive Pedagogy and enrol now so you don’t miss out! Registrations are closing soon so please let us know of your interest so we can hold a place for you. Not the course that you are looking for? Please visit our Learning and Development intranet page to view our courses/workshops and programmes or if you have any questions contact Learning & Development. What does tangata tū, tangata ora’ mean for historians? What is meant by the UC vision of ‘people prepared to make a difference – tangata tū, tangata ora’? A new publication engages with what the vision means for historians. History Making a Difference is a collection of essays showcasing new approaches in researching and writing history from Aotearoa. The volume emerged out of Canterbury’s post-quake environment, where historians have found ourselves working in new ways. In particular, collaboration and community engagement have become common. These connections were there before 2010, but out of adversity we’ve needed to think harder, to be more daring, and to put in extra effort. The result is more work across previous boundaries – whether public, academic, or along race, class or gender divisions. It was in this climate that UC’s History Department hosted the New Zealand Historical Association (NZHA) executive during 2014 and 2015, with an executive made up of members from Canterbury Museum, Lincoln University and UC. The December 2015 biennial New Zealand Historical Association conference held at the College of Education Dovedale campus was the culmination of two big years of service. Given our Cantabrian circumstances it was apt that the NZHA conference theme was ‘History Making a Difference’. We challenged participants to ask why care about the past? Why teach, research and write history? The new collection brings together a selection of the papers from the conference. Leading and emerging scholars, activists and those working in the public sector, archives and museums bring their expertise to provide timely direction and informed debate about the importance of history. The essays traverse local, national and global knowledge to offer new approaches that consider the ability and potential for history to ‘make a difference’ in the early twenty-first century. Authors adopt a wide range of methodological approaches, including social, cultural, Māori, oral, race relations, religious, public, political, economic, visual and material history. The chapters engage with work in postcolonial and cultural studies. The volume is divided into three sections that address the themes of challenging power and privilege, the co-production of historical knowledge and public and material histories. Collectively, the potential for dialogue across previous sub-disciplinary and public, private and professional divides is pursued. Three of the conference keynote speakers, Ani Mikaere, Paul Ward and Kate Darian-Smith, have chapters that lead off each of the three sections. The editorial collective was led by Katie Pickles (History) with members Lyndon Fraser (Sociology and Anthropology), Marguerite Hill and Sarah Murray (Canterbury Museum) and Greg Ryan (Lincoln University). The book’s cover features art by UC Fine Arts graduate Tess Sheerin, who studied Christchurch history as a part of her degree. 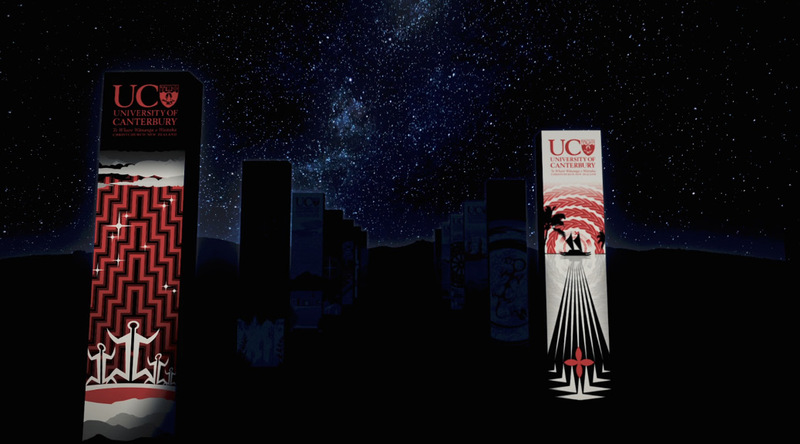 Other contributors with a direct UC connection are Te Maire Tau, Martin Fisher, Safua Akeli, Peter Lineham, Nadia Gush, Rosemary Baird, and Joanna Cobley. The other authors are Margaret Pointer, Elizabeth Pente, Mark Smith, Catharine Coleborne, John Armstrong, Jane McCabe, Fiona McKergow, and Kirstie Ross. We look forward to on-going conversations, building on our strengths from the past, and making new history in new times. 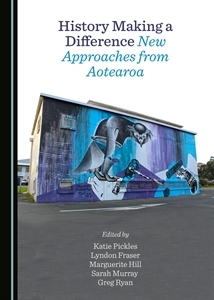 History Making a Difference: New Approaches from Aotearoa, edited by Katie Pickles, Lyndon Fraser, Marguerite Hill, Sarah Murray and Greg Ryan. Published by Cambridge Scholars Publishing, Newcastle upon Tyne, 2017. This instalment of Intercom’s Te Reo Māori pronunciation column focuses on blog names. Following on from last week’s Rehua example, the second instalment of Intercom’s Te Reo Māori pronunciation column focuses on building names.